His presence was nevertheless felt, and not just because nobody seemed all that concerned about the motherfucking ice dragon he said was on the way. Hey, it’s easy to overlook such things when you know this little monster has graduated from stoned musings to piercing the veil of your soul, and it’s safe to say everybody, including the viewers, felt seen. 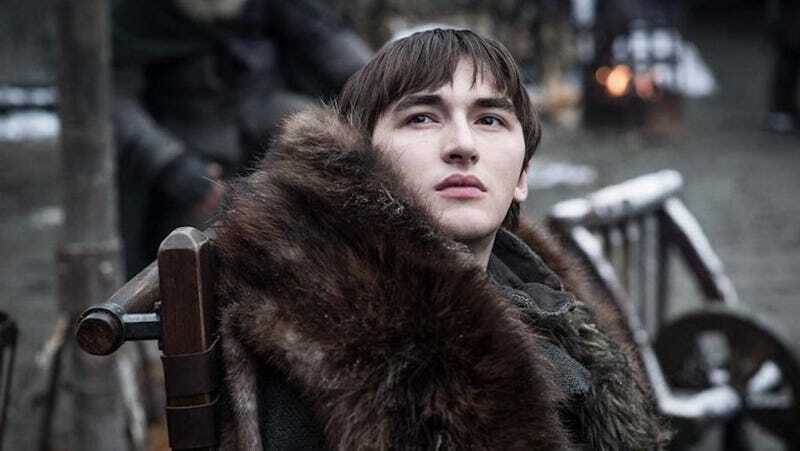 Nobody, though, crumbled beneath Bran’s gaze like Jaime Lannister, who, before losing his hand and finding his heart, crippled Bran by pushing him out of a window. It’s an anticipated reunion, one we’ve been waiting for since the pilot episode, and last night’s outing ended on a cliffhanger that, as the below reactions show, could go a couple different ways.